Marissa and Chris appeared in the Autumn 2015 edition of Cosmo Bride. 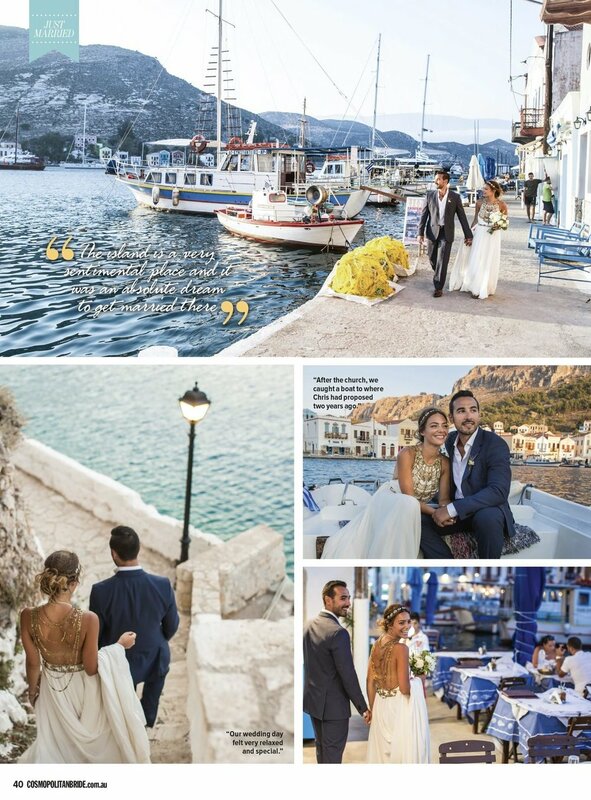 Their wedding in the Greek Islands was the stuff dreams are made of and the pictures were so fun to take. With the deep blue ocean and whitewash buildings as a backdrop, Marissa's Amanda Wakeley dress with gold and bronze beading looked spectacular. The reception was full of laughter, fun and lots of dancing and guests were having a ball. It was infectious! Brides referred to this issue and wedding when booking us for over a year afterwards. 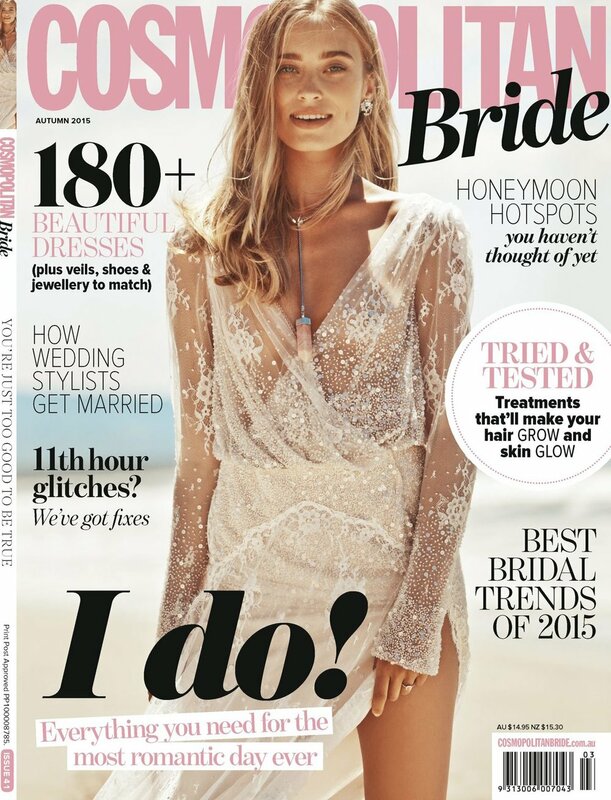 It was obviously one of the most popular issues and one of our biggest real wedding features we had ever had to date.